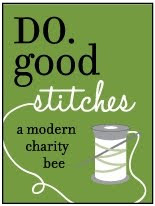 "Without change their would be no butterflies..."
Today is Spelling Bee Saturday and I'm introducing another block from the Spelling Bee book!! 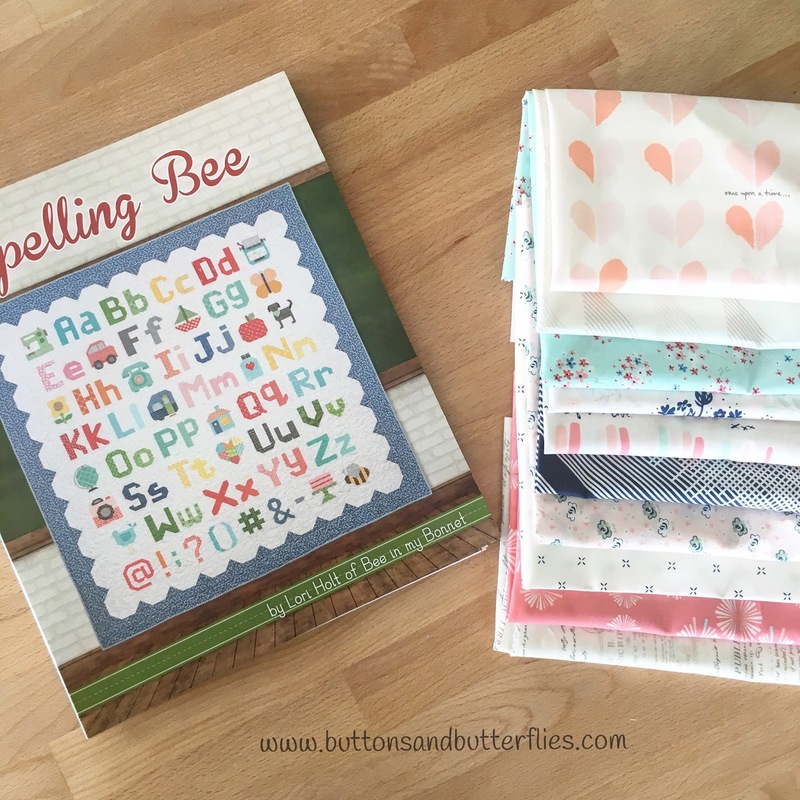 The Spelling Bee Book is by Lori Holt of Bee in my Bonnet and features complete instructions for 100 letter, number, punctuation and picture blocks in two sizes plus 18 quilt projects! 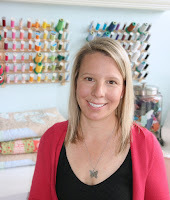 This week, I chose a bundle of Paperie by Art Gallery Fabrics from the Fat Quarter Shop. I couldn't just make a lonely block. 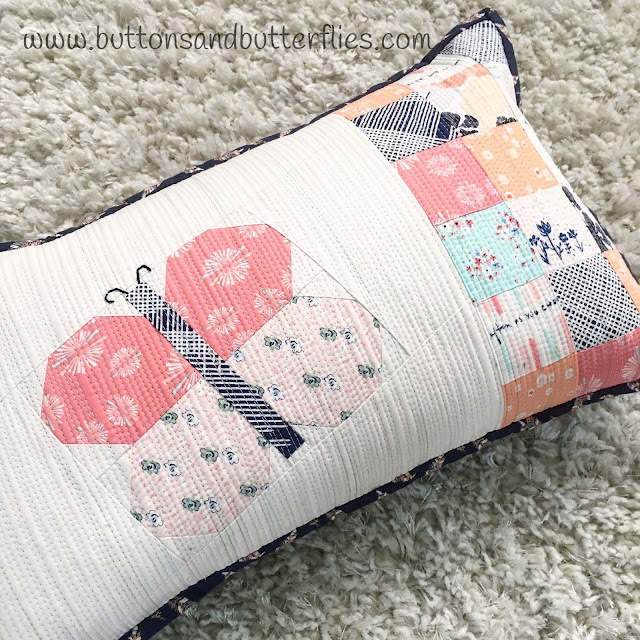 I had to make a Butterfly throw pillow!! I actually used the Paperie fabric with another bundle I had of Dear Stella Fabric to make a full patchwork quilt for my uncle's wife. Stay tuned for that full quilt soon! 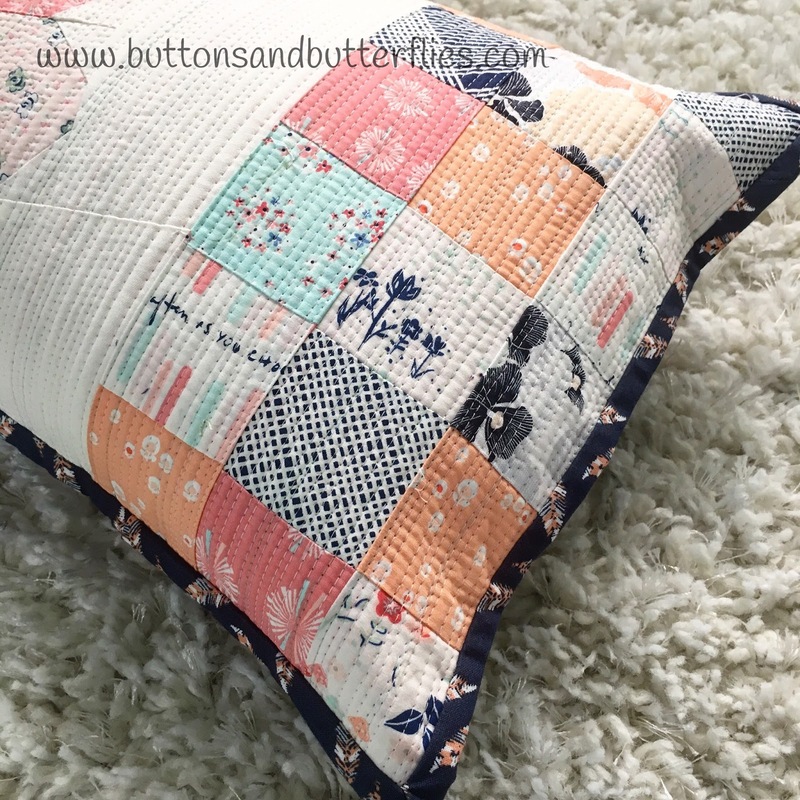 I had a few leftover pieces to make a mini patchwork design for the rectangular pillow. 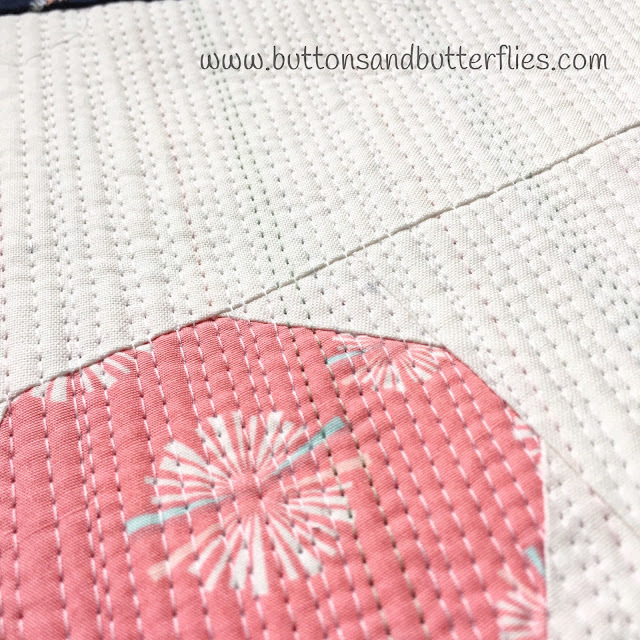 Many seem to know my "go to" quilting on my domestic machine is matchstick quilting! 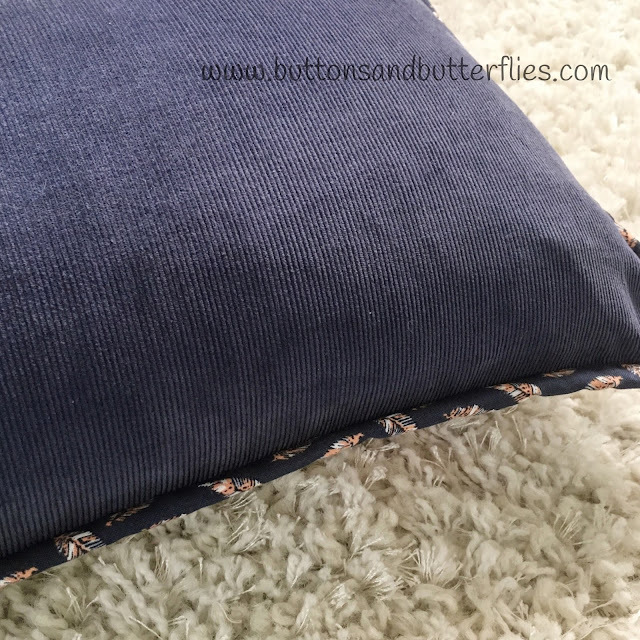 I had some old navy corduroy fabric I used for the pillow backing and some Dear Stella for the binding. Stay tuned for a companion pillow I made to go with my butterfly at the end of December!!! I love your pillow! 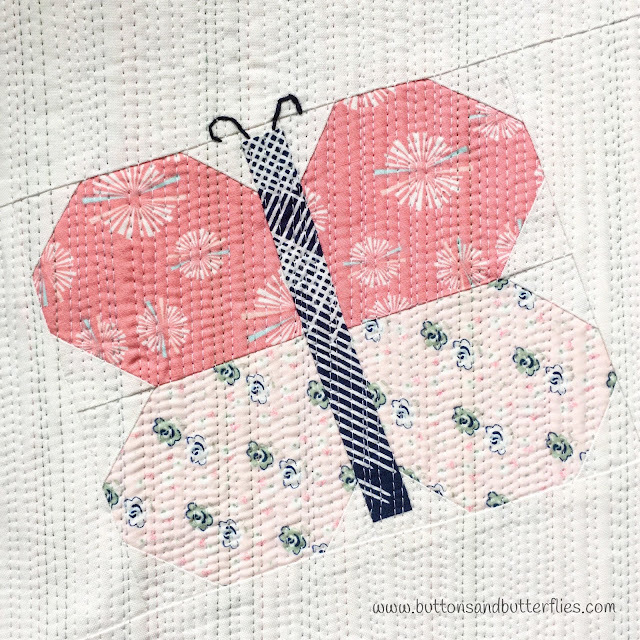 The beautiful butterfly in that soft colored fabric is so pretty! Thank you so much!!! I really loved the soft colors of the Paperie line for this! !